Uhura, Guinan and Star Trek’s resonating impact. General, all around font of awesomeness, Upworthy recently featured a video of Dutch TV programme; College Tour. The video features Whoopi Goldberg commenting on her reasons for portraying Guinan in Star Trek :The Next Generation and her love of Star Trek, which she sums up nicely ‘without Star Trek people would still think there were no black people in the future’ an amusing line about a serious issue, which she then explains in detail. After watching the aforementioned My friend Elle commented on it and her words really showed a completely different perspective that I was oblivious to. Whoopi Goldberg, Nichelle Nichols and Star Trek’s influence on younger generations of black people. 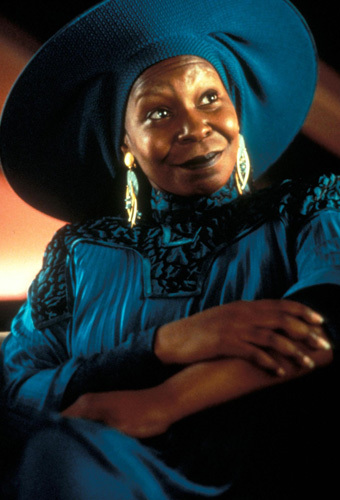 Whoopi Goldberg as Guinan, whose impact I was oblivious to. over many many episodes/series as main characters. There may’ve been many other examples on TV in the 90s. I’m not saying there wasn’t. But as a kid this is what I watched. So, it’s what influenced me the most. And the guy in the video is right. Whoopi/Guinan and the other characters in the series regardless of race did have an impact on people. When I was a kid it was them not pop stars and the like that were role models for me. I wanted to connect with people like Guinan and Troi. I wanted to be smart like Geordi. But mostly, I wanted to be awesome like Picard . 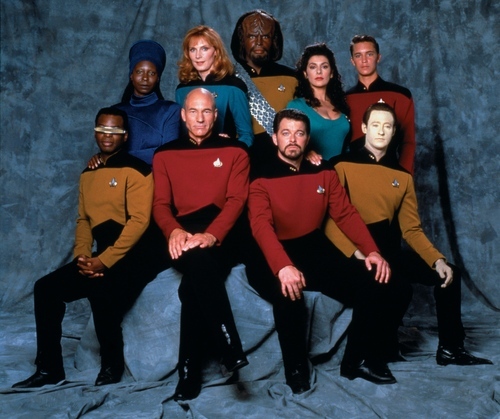 To me TNG crew were the coolest people on the planet. In terms of race, characters like Guinan, Georgi La Forge, Worf, Tuvok etc. offered an alternative from some of the mainstream ideas of what a black person ‘should be or like’, present in the media of the day. 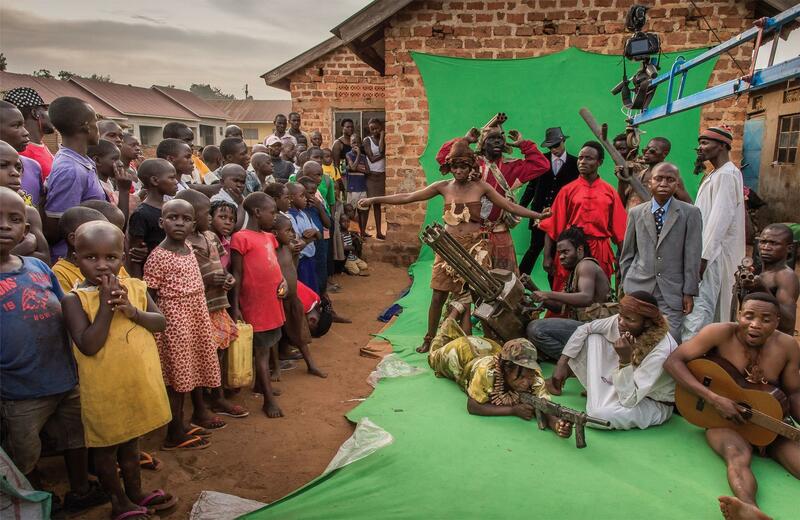 They each had their own distinctive cultures (e.g. El-Aurian, Human, Klingon, Vulcan etc.) but mostly they were treated equally and lived in harmony with everyone else on the crew. The crew were encouraged to focus on their similarities not their differences. Diversity and unity were promoted, not diversity and division. For example, when 7 of 9 learned gradually to become both an individual and part of the Voyager crew (individual and part of the whole). In a way race wasn’t generally a ‘ big issue’ in these shows in terms of skin colour. Ethnic minorities in Star Trek were presented as individuals in their own right. They were just people not ‘black people’ and so on. The issues where more in terms of planetary race. Even when planetary race was an issue e.g. Worf not behaving how a Klingon ‘should’, the moral generally was the individual’s identity is what’s important and defining (not their predetermined genetics). You don’t have to be this way or that way. The Federation was a place where you could chose to define yourself. Or you could merge different identities. The planetary race issues were often apt metaphors for ethnicity race issues. But managed to convey lessons in that more ‘distant’ and non-preachy way that I find generally sci-fi is so good at.